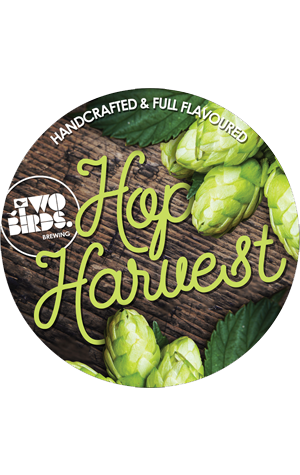 There's a mini rush of new beers coming out of the Two Birds Nest this month, including a couple of Women of Beer brews and this, their first fresh hop harvest beer. To create the beer, they arranged to have Ella and Galaxy hops plucked from the bines, packaged and flown to their Spotswood home ready to be added to a brew as fresh as possible. The Two Birds reckon it's "the truest expression of hops and a rare opportunity to enjoy the unique character of wet hops, in all their green, leafy glory" with the resultant brew day one "that smelt of promise and resulted in a beer that tastes like new beginnings." How poetic! They opted for an American style pale ale with the aforementioned hops lending "stonefruit, spice and floral hop characters" to "a rich malt profile".